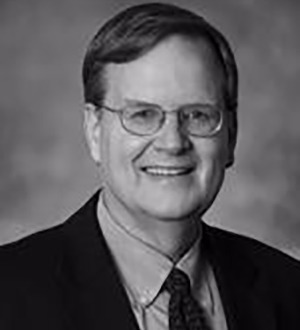 Robert Johnson has more than 40 years of litigation experience in various types of civil trial and appellate matters. He is the former head of Dentons' legacy Litigation practice (1996–2006) as well as the Litigation practice in Chicago (1996–2016). Robert focuses on complex litigation, with an emphasis on insurance and reinsurance litigation, including class actions, representing such companies as Travelers, AIG, XL Catlin, Hartford, Swiss Reinsurance, Allstate, ACE Bermuda, Stonewall, Country Mutual, MMIC Group and Great American. He has represented insurance clients in scores of environmental and asbestos coverage cases in state and federal courts in Illinois, Iowa, Indiana, Wisconsin, Michigan, Missouri, Montana, Ohio, Delaware, Pennsylvania, Connecticut, New York, Massachusetts and California. He litigates other types of coverage claims as well, including errors and omissions, product liability, construction defect, mold, bad faith, personal injury (including advertising injury), group health and disability, and reinsurance claims. Robert also has extensive litigation experience involving such diverse subject matters as securities fraud, antitrust, bankruptcy, patent infringement, construction disputes, shareholder disputes, fair housing and unlawful discrimination claims. In addition to his trial work, Robert has an active appellate practice, having handled appeals in the US Courts of Appeal for the Second, Third, Fourth, Fifth, Seventh, Eighth, Ninth and Eleventh Circuits; in the Supreme Courts of Illinois, Delaware and Missouri; and in each of the five districts of the Illinois Appellate Court.